We really thought our Kentucky Bourbon tasting experience was over… Then out popped a bourbon repeat from an earlier session – Blanton’s Single-Barrel Bourbon. Bourbon there is a-plenty, however single barrel bourbon is apparently a relatively newer phenomenon… with Blanton’s claiming fame for popularizing it in the 1980s. 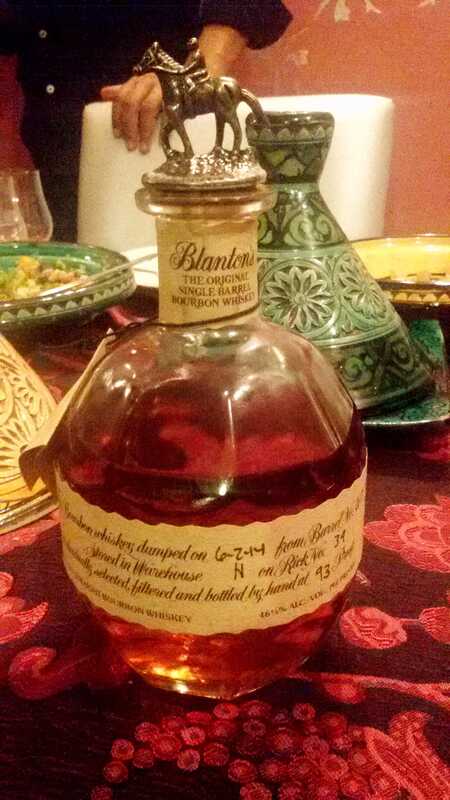 Blanton’s Single Barrel Bourbon takes its name from Colonel Albert Blanton, who was known to entertain friends by serving them bourbon from Warehouse H – especially in the middle sections known as the centre cut – which he believed aged bourbon better. Col. Blanton would pick an individual barrel he liked best and have it bottled – known as his special select single barrel bourbons. 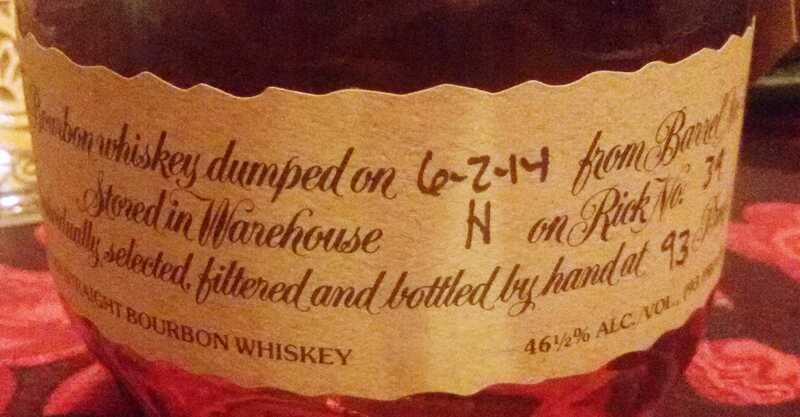 You can see here the whisky we enjoyed was indeed from Warehouse H, bottled at 93 proof on 6-2-14. We then sat down to enjoy a North African themed meal – which paired rather well with the bourbons! This entry was posted in American, Beyond Scotland and tagged Blanton's, Blanton's single barrel, Bourbon by Carissa Hickling. Bookmark the permalink.